Zest is the last letter I am covering in the real food abc series. Zest can have so many different meanings, so I thought it was a great one to end on. Before I talk about zest, I wanted to say I hope you have been inspired by this series. My hope was that this series would help my readers learn more about real food and move in the direction of making more things from scratch and decrease highly processed foods. I thought it would be hard to pick a z. But when I started to think of foods that start with z, zest popped into my brain and I knew it would be my z.
I feel like zest is the perfect way to end this series. It represents so many different things. These three things actually represent the entire real food abc series. Zest is a great representation of using as much of a food as you can. Many times we use only a part of the food and discard the rest. (think cooking a whole chicken, but discarding the bones and organ meat) Not only does it waste food, it wastes money. Zest represents using as much of the whole food as possible. Real food is "whole" food with all parts utilized when possible. Zest was another great way to end the series because it is a great way to add flavor to food. Highly processed foods many times add ingredients to enhance the flavor. Besides ingredients we recognize - salt, sugar, herbs, spices - there might be natural or artificial flavors. Those of which we have no idea what is actually in them. MSG which can cause headaches, weakness, nausea. You can avoid a lot of those scary ingredients by eating more real food and using real foods - like herbs, spices and zest - to add flavor. Food should add zest to our lives. Eating real food should not feel like a chore. It should not feel like a punishment. It should not feel like a diet. Eating real food should bring enjoyment. Not only through great food and flavor, but also through increased health. And real food should be easy and uncomplicated. 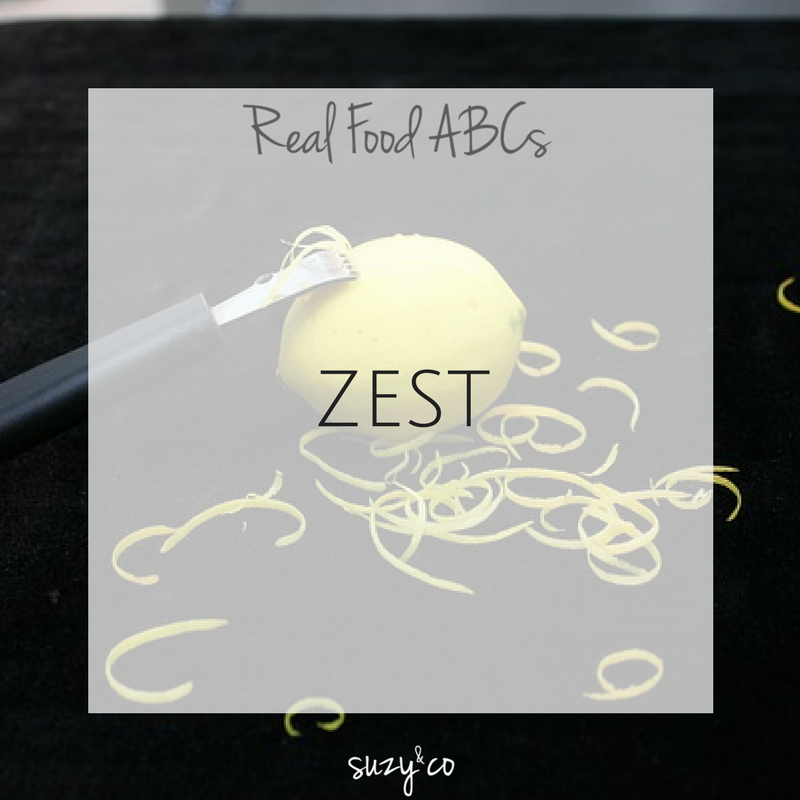 Zest was the perfect food for me to end this real food series. Although the series is done, I hope you continue reading for more real food recipes, tips, tricks and fun.